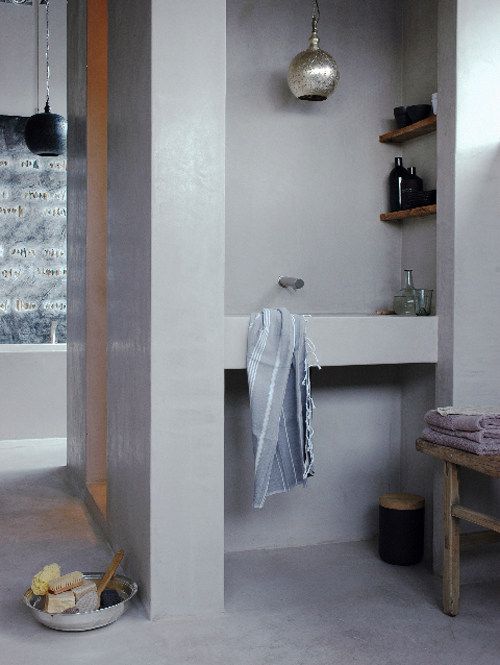 Today I’m loving … this hamam style bathroom with tadelakt walls. 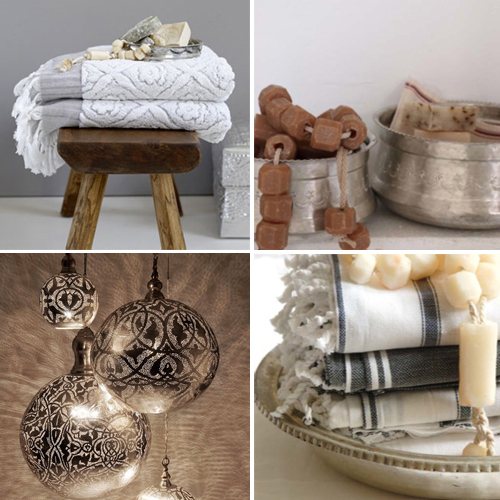 You can create a similar look with the items featured above: copper hamam bowls, cotton hamam towels, Egyptian pendant lights. It is absolutely gorgeous! I love this type of bathroom – simple finishes with beautiful added extras! Tadelakt walls are always really nice and the moroccan lamp and the raw wodden shelfs just make the bathroom perfect. Thanks for sharing this beautiful picture. I love the style of this bathroom! Very unique! Quietly elegant. I’m going to Morocco for 10 days and can hardly wait to soak in the colors, textures, everything. “you can create a similar look with” . . . you left out tadelakt walls! There are artisans who do them. I just love the simplicity of it – material, colour, accessories!